Harris ERP Leverages Current Technology to offer Cloud-Based ERP Solutions for the Public Sector. Harris ERP is proud to offer our customers two brand-new Software as a Service (SaaS) models, Cloud9 and LocalCloud, in addition to our traditional on-premise offerings. 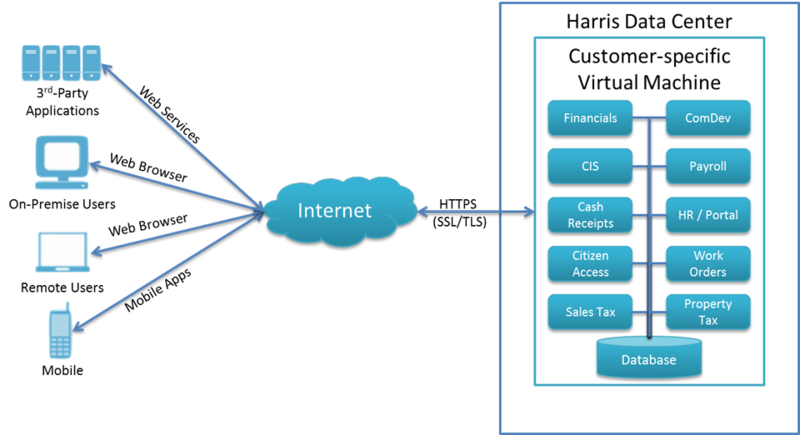 Both Harris ERP SaaS models leverage the current technology used to develop our Web-based Innoprise Financials, HR/Payroll, Community Development, Citizen Access, Tax Utility Billing, and Work Management applications and transfer it to the cloud for an ERP solution that is secure and easy to implement. Our cloud-based ERP solution helps small organizations with limited IT resources take advantage of current technology and a robust suite of applications with lower up-front costs of a traditional ERP system. Not only will you see a quicker return on your software investment but your total cost of ownership will go down. 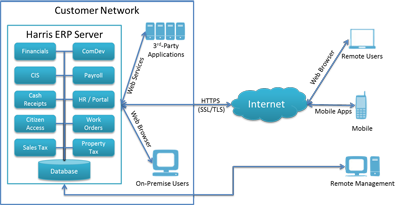 Inherent Remote Access – any Innoprise application can be accessed from anywhere with any browser. 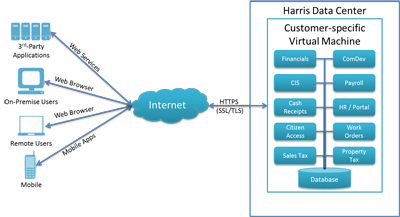 Harris ERP offers Innoprise applications in a traditional Software as a Service model, called Cloud9. There is no hardware for you to worry about, as everything is hosted in our new, secure data center (or you can select your own data center); you pay no licensing fees, only a “subscription”; and we manage the servers and environment. For those who prefer to keep their data on-premise, we offer Innoprise applications as a managed service behind your own firewall, called LocalCloud. 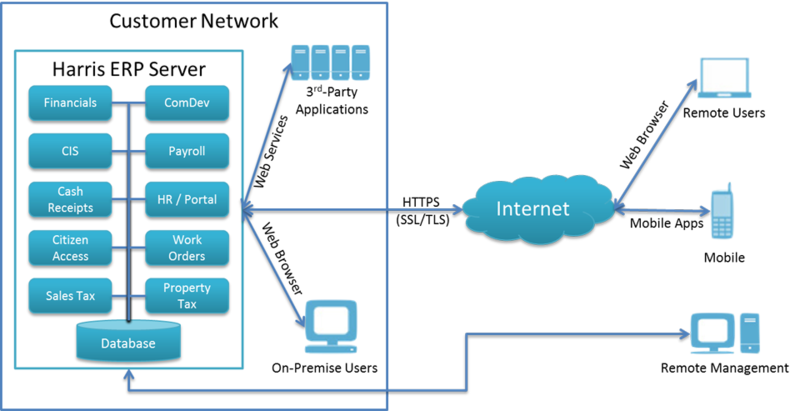 We put the servers into your building and manage the applications remotely. Again, there are no licensing fees, just a service subscription. If you are a smaller organization with limited IT resources, Harris ERP’s cloud computing solution is for you! Request a free demonstration of our Innoprise ERP software.